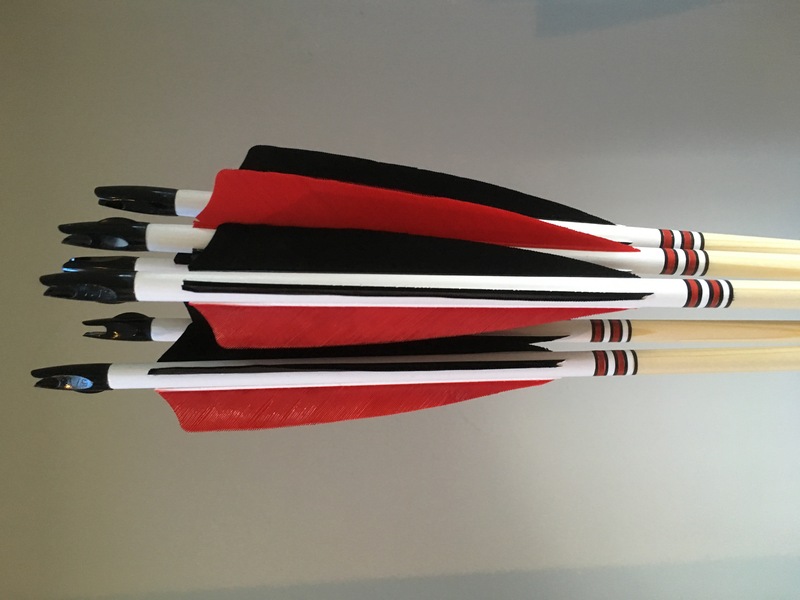 A nicely matched set of arrows for a field/3D or short target archer, now sold. 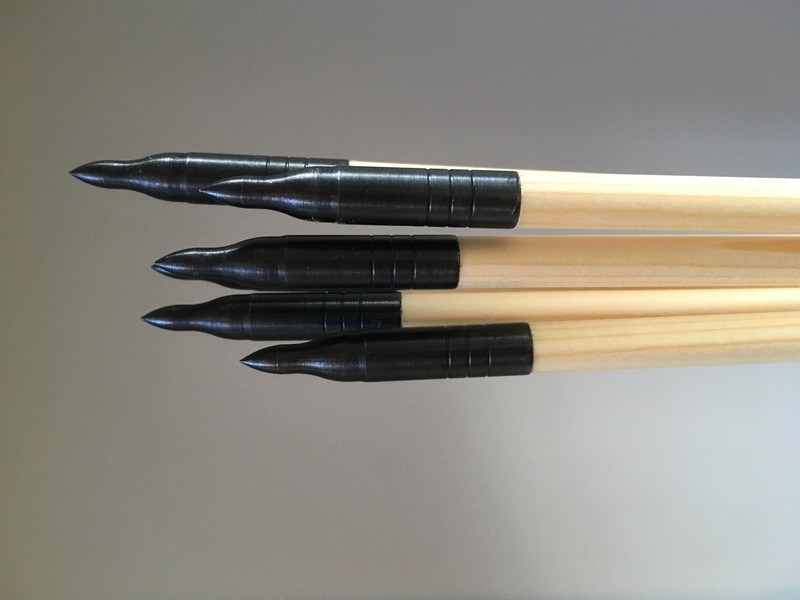 A set of 6 spruce wood arrows. 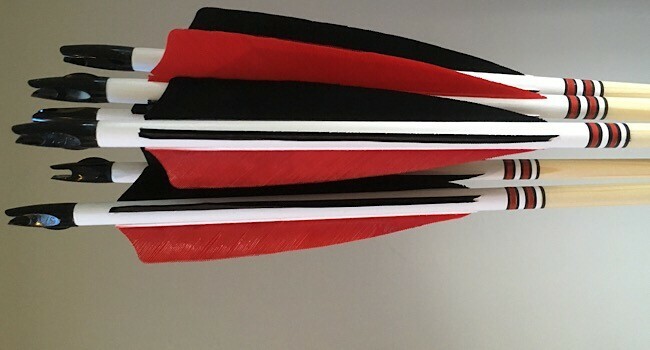 White crown painted, with simple red and black cresting. They’ve been sanded and finished with a clear gloss outdoor acrylic varnish. 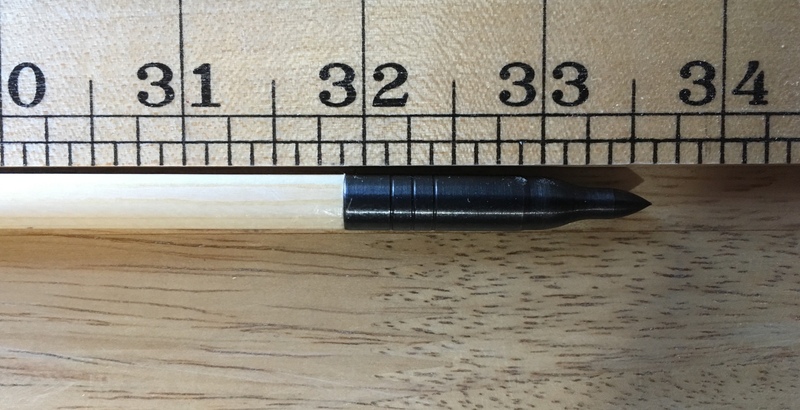 Length: Just over 31.75” from back of point to base of nock. 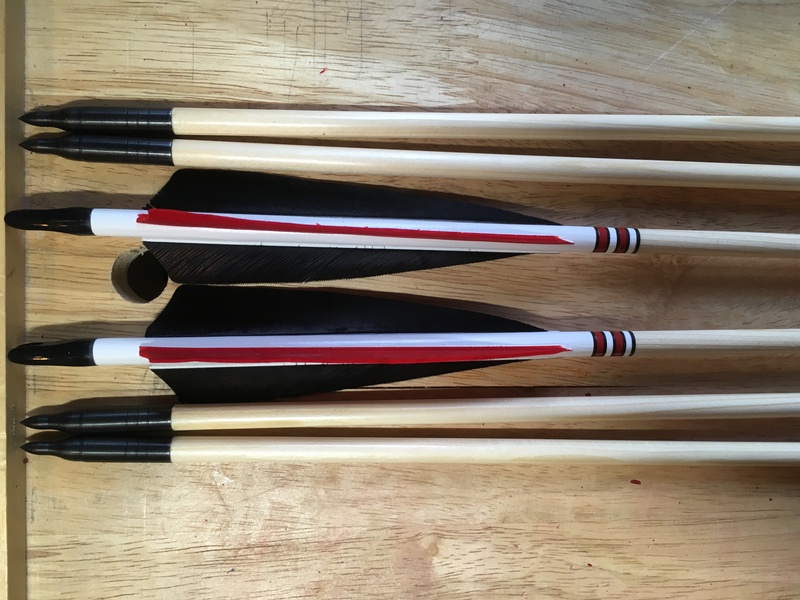 This set fall well in our range for ‘competition matched’ arrows. 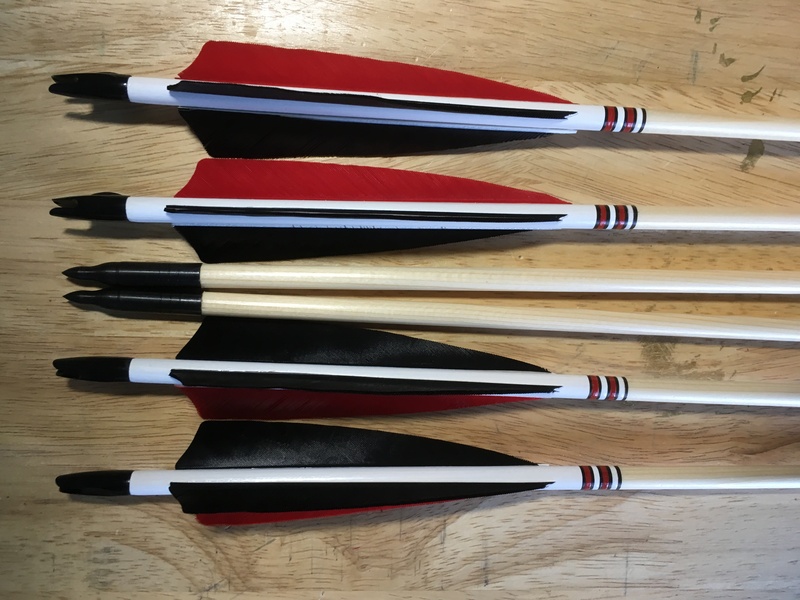 These arrows would be suitable for traditional longbows drawn to around 30lbs. Ideally suited to field archery or shorter distance/indoor target archery.